If you are not convinced about its amazing properties and still haven’t made it a part of your diet, see 10+1 good reasons to do it immediately. A sore throat can be unbearable sometimes. Honey, however, is the ultimate natural remedy. Try it either plain, or add a spoonful in a cup of Greek Mountain Tea for extra relief. Unlike processed sugar, natural honey is not fermented so it does not put our stomach in danger of a bacterial invasion. A spoonful of pure, raw Greek honey contains 60 calories and has 30% more sweetening power than a spoonful of sugar. Honey sugars are simple and absorbed instantly from the body, providing a natural source of energy. It offers more pleasure with fewer calories than all these fattening desserts and snacks. If you are on a diet, you know that doctors recommend avoiding all sugar-based foods, except for pure honey. This is because honey reinforces the metabolism and this is essential for weight loss. “Empty” calories in processed sugar contribute negatively to health and obesity. 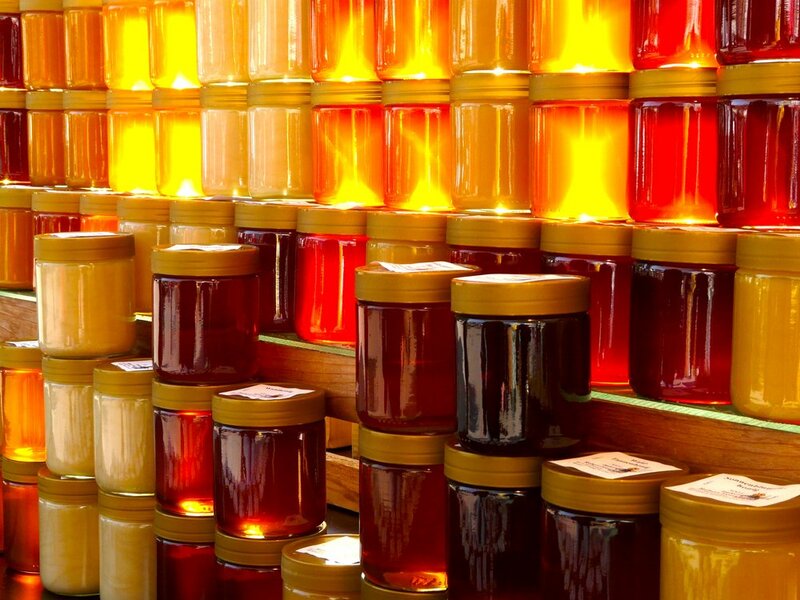 Natural Greek honey, reduces the accumulation of fat in our cardiovascular system. Frequent consumption of honey may also have a positive effect on factors related to the risk of developing a cardiovascular disease. Anxiety and stress can often lead to sleeping disorders. If you are experiencing sleep problems, you can try a glass of warm milk with honey. It will act soothingly to the brain, help you relax and fall asleep more easily. Natural sugars found in honey increase insulin levels in the blood and release serotonin. Later, serotonin is converted into melatonin, a hormone that promotes good quality sleep. A spoonful of honey with an empty stomach can help improve the digestive function. Honey helps relax nerves and relieve fatigue. The glucose contained in honey is essential for the good function of the nervous system. Although the primary role of honey is nutritional, honey can also be used for other purposes. You can benefit from it by applying it directly on your skin if you are suffering from skin disorder, such as acne. Simply, apply some honey to the affected areas of your skin three times a week and notice the difference. This does not mean that you can stop brushing your teeth, or eat tons of garlic and hope to get away with it... However, if you are experiencing chronic bad-breath problems -which your physician should investigate to find the cause- you can combine a teaspoon of honey with some grounded cinnamon and freshen your breath on the spot!